Under his government’s flagship Ghar-Ghar Haryali mission to make Punjab clean, green and pollution-free, Chief Minister Captain Amarinder Singh on Thursday launched the iOS version of iHaryali mobile application to facilitate citizens who were using Apple mobile phones. Dedicating the application to the people here at CMO, the Chief Minister said the move would give further boost to the ongoing mission Tandarust Punjab for creating awareness amongst the people about healthy and clean environment, The app would help in ensuring ecological balance in the state, he added. The Chief Minister had earlier launched the android version of the iHariyali mobile app on the World Environment Day. This initiative, to facilitate citizens to select and collect plants of their choice free of cost, from the geographically nearest Govt. Forest Nursery, is the first of its kind in the country. Highly populated districts like Patiala, Ludhiana and Sangrur have shown keen interest in the statewide plantation drive under this programme. The plants are mostly of ornamental, medicinal and fruit bearing indigenous. Meanwhile, Forests Minister Sadhu Singh Dharamsot told the Chief Minister that there was a lot of enthusiasm about the scheme among the people, especially the youth, NGO volunteers and members of various organizations. He said nearly 32 lakh saplings have been planted in various parts of the state through this App under Ghar-Ghar Haryali Scheme. 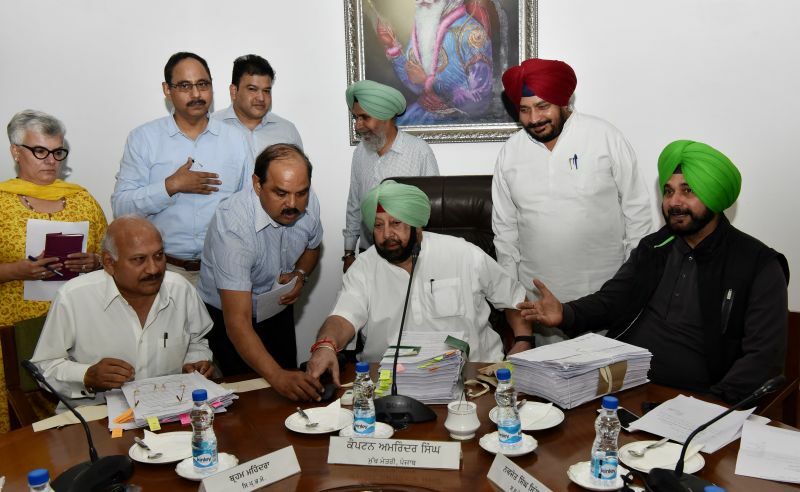 The Minister also informed Captain Amarinder Singh that his department was using Drone Technology for watershed planning in Talwara area of district Hoshiarpur, besides taking several technological initiatives to further improve its functioning. Expressing confidence over the mass movement of plantation across the state, the Chief Minister said it would help enhance its green cover, which would ultimately tackle the menace of pollution by providing a healthy environment to the people. He also emphasized the need to further intensify efforts for public interface to further popularize such initiatives.